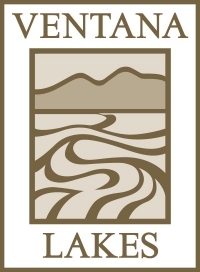 Ventana Lakes Property Owners Association is an age-restricted community in Peoria, Arizona*. Situated on over 40 acres of common areas, our homeowners enjoy scenic views, affordable events, and modern amenities with 24 hour access. Prospective Buyers and their Realtors® are invited to tour our facilities independently, to view them and evaluate them prior to making their purchase. Simply come to our Community Management Office (CMO) between the hours of 8:30 am and 3:00 pm, Monday through Friday. Once here, our staff will ask that the Realtor® complete a short form providing basic contact information. Copies of identification (Driver License, US Passport, or US Military issued ID only) will be collected for all persons, and a temporary access key and access badge(s) issued. With the amenity map in hand, you are welcome to tour the facilities for one hour, visiting the buildings, pools, lakes, walking paths, and more. Our friendly staff members are happy to answer questions about the community, but are not available to accompany you on this tour. If you have any questions about this program, please contact our CMO at 623-566-6001 or via email to ventanainfo@vlpoa.org. * Although many of the homes in Ventana Lakes Property Owner Association have a Sun City address, those homes are not affiliated with the communities of Sun City, and are classed as Sun City for postal code purposes only. For all other purposes: city utilities, law enforcement, voting, taxation, etc., the homes in Ventana Lakes are part of the City of Peoria.